Wilton Heart Shaped Silicone Baking Cups 12-Pack ONLY $8.99 + FREE Prime Shipping! 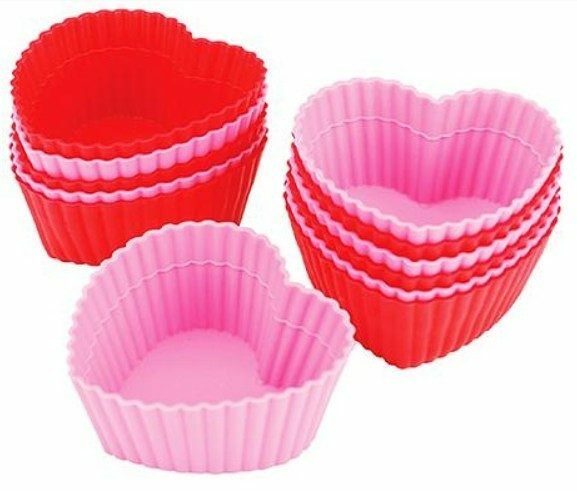 You are here: Home / Great Deals / Amazon Deals / Wilton Heart Shaped Silicone Baking Cups 12-Pack ONLY $8.99 + FREE Prime Shipping! How fun would these be for Valentine’s Day! You can make heart cupcakes! Hurry and grab this Wilton Heart Shaped Silicone Baking Cups 12-Pack for ONLY $8.99 + FREE Prime Shipping (sign up for a FREE 1 month trial of Prime here)!